Where's the Payoff in Gambling? Dominated by its famous Boardwalk, the beach resort is familiar to Americans from the popular game of Monopoly, the Miss America pageant, and the Democratic Convention that nominated Lyndon B. Johnson for president. Almost forty years ago, when casino gambling was prohibited by every state except Nevada, New Jersey voters succumbed to a slick campaign that promised to remake the fading resort into Las Vegas East. The closed casinos have eliminated 8,000 jobs in a city whose unemployment rate was already twice the national average, and the assessed value of the unoccupied properties will have to be sharply reduced. And no property was bigger or fell harder than the gargantuan Revel Casino Hotel, which was custom designed for high-rollers who never showed up. 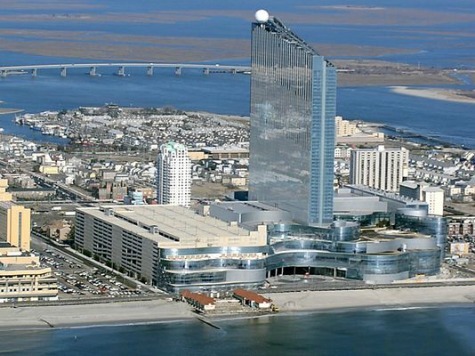 The $2.4 billion it cost to construct that now-useless “glass elephant” was greater than the taxes New Jersey collected from all the other casinos in the past eight years. New Jersey Governor Chris Christie had the chance to pull the plug on the project four years ago, but instead he doubled down, committing $261 million of state funds to see it through to completion. After the politically connected original investors cashed in their chips a decade ago, Alton’s casino steadily declined to about half of its original revenue. Along the way, a local family-owned business was devastated when a trusted employee embezzled over $100,000 to support her gambling losses “on the boat,” as people still say although the so-called boat never leaves the dock anymore. While Christie was bailing out the soon-to-collapse Revel Casino, he also committed New Jersey to enter the untested field of internet gambling, which enables people to lose their life’s savings in one fit of depression, without even leaving their office or home. Internet betting preys on the compulsive gambler because it invites him to feed his habit in secret, without criticism by family or friends. Gambling over the internet was deemed illegal based on a 1961 law called the Wire Act. As recently as 2007, the FBI was warning Americans that it is against the law to gamble over the internet, and the operators of online virtual casinos were prosecuted. But in another example of the Obama Administration changing a law without congressional approval, its Department of Justice surprisingly announced just before Christmas 2011 that many forms of internet gambling are legal after all. Obama’s DOJ declared that the Wire Act prohibited sports betting, but implied that other forms of gambling (such as online poker) may not be considered illegal under the Wire Act. At that time – nearly three years ago – the size of online gambling was estimated to be already immense, between $6 billion to $100 billion a year. Chris Christie obviously salivated at the prospect of collecting a share of that money for New Jersey, projecting $180 million the first year — almost as much as the state now takes in from casinos. But the state’s actual revenue from internet gambling this year was only a little over $9 million, which is 95 percent less than Christie expected. Meanwhile, more conservative states (such as Texas) have held the line against gambling expansions. The lesson of New Jersey should not be lost on Republicans who are vetting potential presidential candidates for 2016. Some of the Republican “donor class” may be considering Chris Christie, who is not a conservative, as someone who could control the federal budget after eight years of Obama’s deficit spending.